USE THE SAME INSERT IN DORI, RING & DISC PLANNERS! EASY DIY ADAPTER! It's been awhile! The long winter is over here in Alaska and I've been enjoying warmth and sunshine, spending time on the computer just has to wait! But I have a treat for you today! 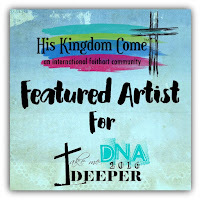 I am honored to be one of the featured artist for His-Kingdom-Come! This is a wonderful group that has loads of bible art journaling, devotionals and other projects. 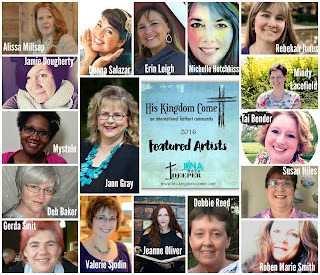 I am one of the many who have and are contributing to the year-long Take Me Deeper group (scroll down for the featured bible art journaling and bonus project). Each week you will get the opportunity to translate bible study into art- mixed media, a journal, a photograph, or a digital page, poem, music. Every Friday HKC will post a verse, devotional, worship video and examples of how we interpreted the bible study in our art. We pray that these 52 weeks will change how you approach, engage and apply God’s word in your life and art. At the end of the year regardless of how many weeks your participated, you will have created a legacy of the faith walk. This legacy will show you how God has moved in your life! Don't forget to join the FACEBOOK group we have for TMD (we also discuss Logos365 in that Facebook group as well). 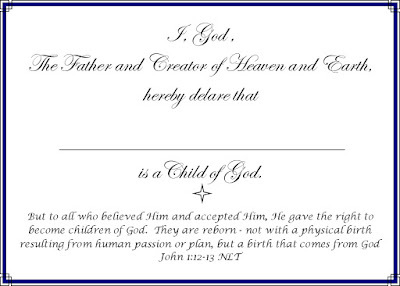 The theme for today's I AM statement is: I AM A Child Of God. How wonderful is that? We often know that we are "born-again" but do we really understand that God Himself has declared that we are now HIS children, born of Him, when we accept Christ? DNA is often used to prove who our parents are. Since we are now God's very own children, born of Him, I like to image that we could see Christ's DNA grafted into ours, if we were able to view it through a spiritual microscope. 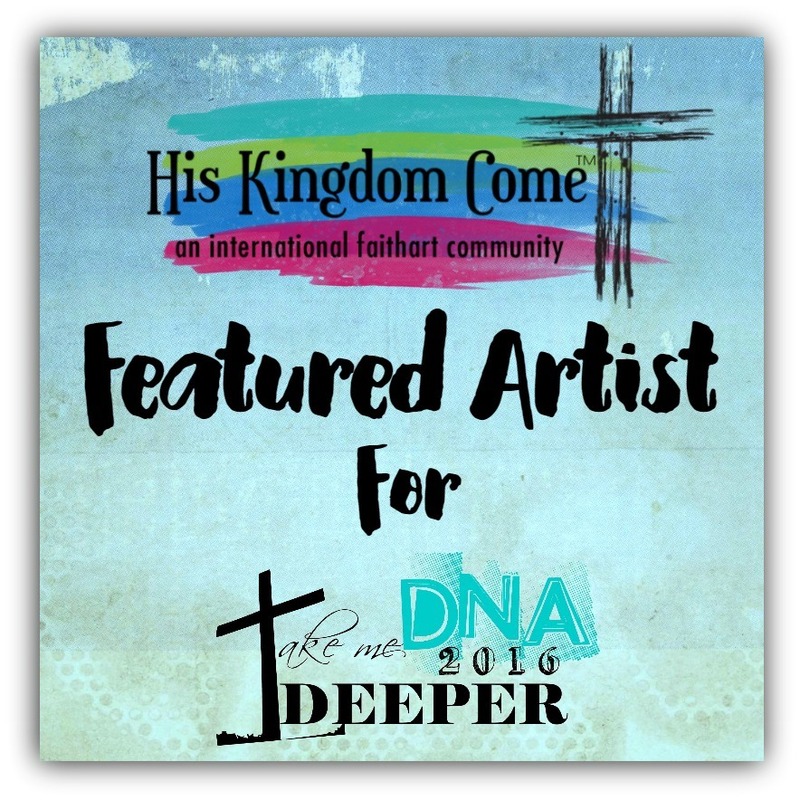 The Jesus Fish fits perfectly into our existing DNA! 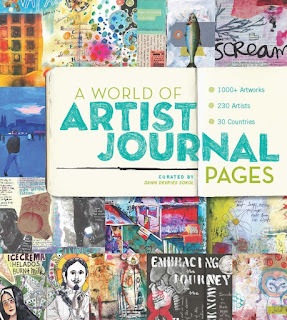 I hope you enjoy watching me art journal this in my Crossway ESV Single Column Journaling bible. *These are the brands I have used in this video but please use whatever supplies you have! I have also created a bonus project! 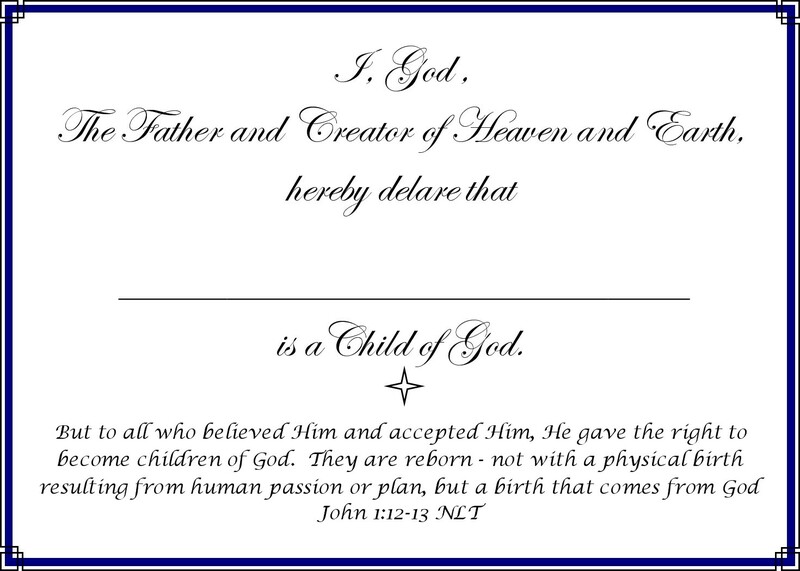 Since God has declared we are His very own children, I thought it would be fun to make a birth certificate which God has declared us as His child! Click on the photo to download the certificate or make one with your own wording. It would be fun to include the day you were saved, the day you became a child of God, if you know the date. (I don't know the date when I truly gave my life to Christ, so no date on mine). I printed my certificate at 5x7. It is important to know that the foils only work with LASER OR COPIER prints. It does NOT work with inkjet printing. OR RIGHT CLICK ON IMAGE AND SAVE. I hope you have enjoyed these videos! God bless! 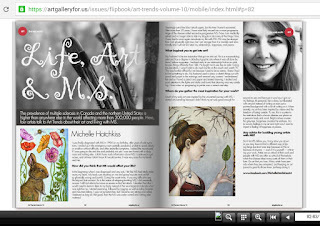 I am honored to be one of the ladies interviewed by Rebekah R. Jones! 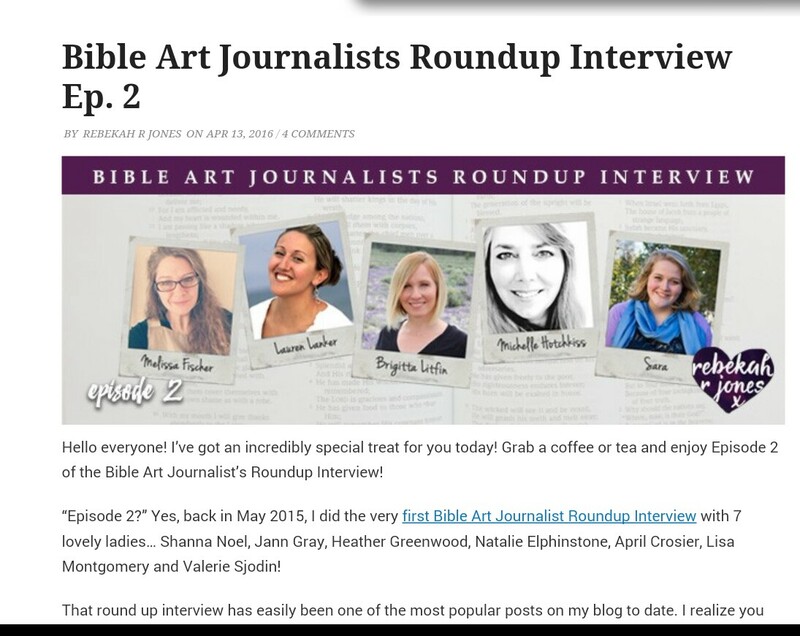 It's a wonderful article interviewing fellow bible art journalists, where we share a bit about our styles, supplies, favorite journaling we have done and how bible art journaling has impacted our lives. And while you are there, check out the rest of Rebekah's blog. She has weekly challenges, tutorial videos, tips and tricks and supplies. She also has a free online bible art journaling class! How awesome is that? She is so generous with her time and skills and clearly is devote to Jesus Christ. Thank you, Rebekah, for all you do! BIBLE ART JOURNALING: "WE HAVE COME TO WORSHIP THE KING"
This is SUPER LATE! I had it saved to post but obviously forgot to finish and post it. So here it is! it is obviously a Christmas bible art journaling but it was fun using acrylic inks and salt. Oh, my poor, neglected blog!! The only excuse I have for neglecting this blog is that I don't get on my computer much anymore, I am mostly on my tablet which won't cooperate with Blogger. I need to commit to paying more attention! The long, dark winter is almost over, the daylight is quickly returning and working it's way up to 24 hours per day of daylight. It is soooo nice to have the daylight back! So what have I been up to? I have been doing a few Periscopes. Some of them are bible/belief based and are basically on what I am learning as I seek a deep, personal and powerful relationship with Christ. I am digging into the bible and prayer, as well as christian books, but the focus is truly learning for myself what the Bible/God/Holy Spirit have to say about things rather than just relying on what I heard from others. I've asked myself, "Why do I believe what I believe"? If the answer is because I heard someone say it or teach it, then I know I need to go to God's Word and find out for myself what He says. God showed me that I can't base my faith or beliefs on what someone else says. It must be based on what HE says. If I don't read the bible, then I won't know if someone is teaching His word correctly. I can't base my salvation, my faith, on other people. That is a false foundation that will crumble quickly when trials and hard times come. A solid foundation is built on the Word of God, directly from His Word, not the word of people. Also, faith comes by hearing (reading) the Word of God for ourselves. Teaching are very important, but they should not ever become more important than actually reading God's Word. This has been life changing for me. There just isn't anything that measures up to a personal relationship with Christ. Nothing. One of the most wonderful things I've learned is that God our father truly accepts us, all our ugliness and shameful things, and is so loving when we are totally honest and bring it all to him truthfully and honestly. He isn't shocked, disgusted and He does not turn from us and reject us. After all, He already knows all about it, it's US who doesn't want to face it. But when we do face it in absolute honesty and bring it to Him, that is when He changes us, makes us aware of His forgiveness and also when we are falling back into that same ickiness so we can choose to stop - as the Word says - He gives us a way out of temptation. Other wonderful news is my beloved hubby and I just celebrated our 17th Wedding Anniversary! My husband is a true gift from God! 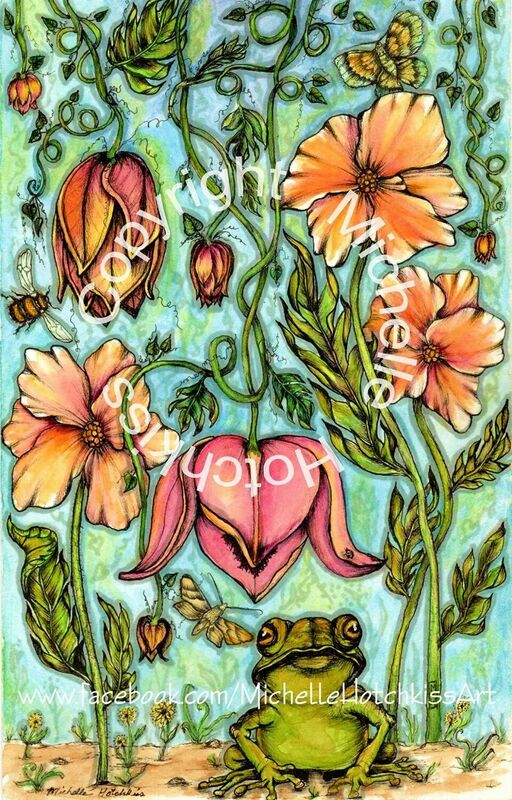 I have also had one of my bible art journalings published in an amazing Canadian scrapbooking magazine. I will write of a post on this later. 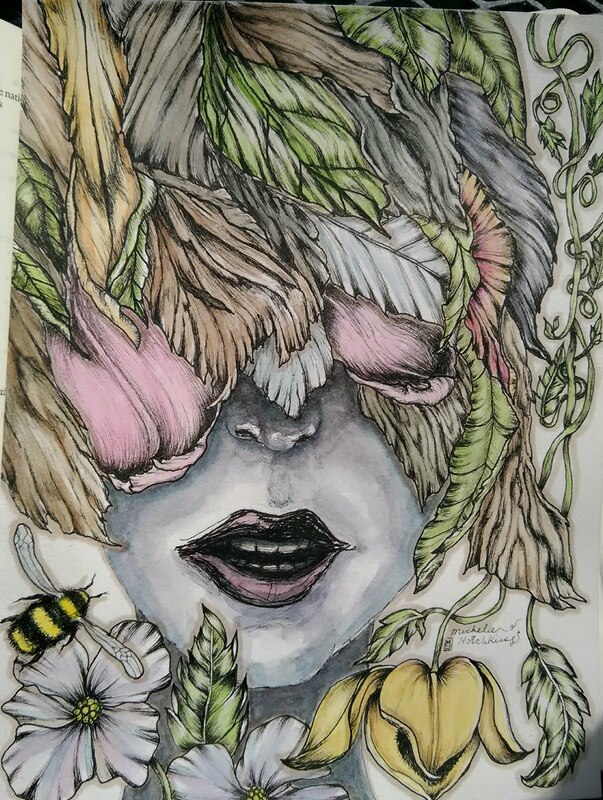 I would like to invite you all to join His-Kingdom-Come.com group, which has free bible creative prompts, videos, devotions, art supplies, and lots of wonderful things. It is a ning site but it is free. 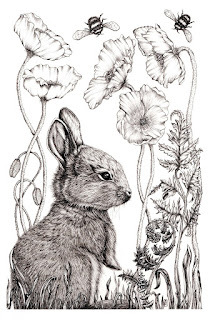 I am one many amazing guest Artists and will have a video on their site in June. Hurray! Check it out, it's a great group! There is also a facebook group.